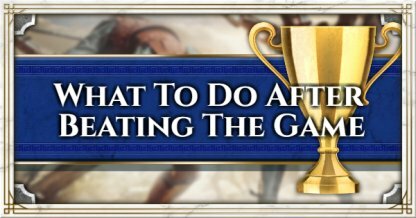 Not sure what to do after beating the Main Quest of Assassin's Creed Odyssey? Check out this guide on the new game mode+, the discovery tour, upcoming free DLCs, and season pass content! 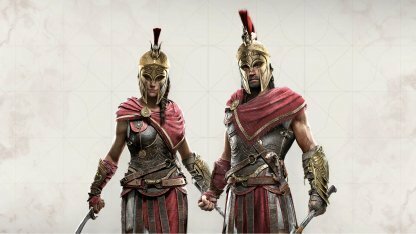 The story of Alexios & Kassandra doesn't end with the conclusion of the Main Story Quest. There are 2 other endings to be discovered in the game. Unmask and kill all the cultist in the game to finally put an end to the Cult of the Kosmos. 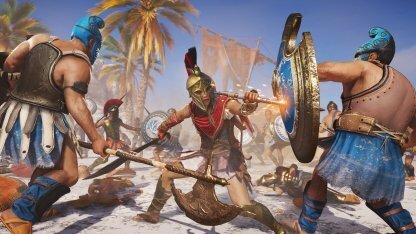 The cult will be destroyed and Kassandra and Alexios will finally have their revenge. 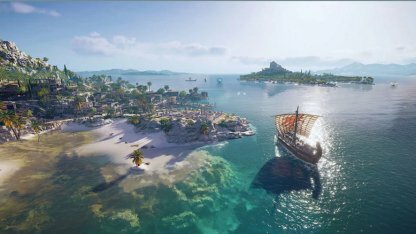 Defeat 4 mythical monsters scattered around Greece to find the key to opening Atlantis and learning more about Pythagoras, the real father of Alexios and Kassandra. Go around the map and help the people of Greece by completing side quests. 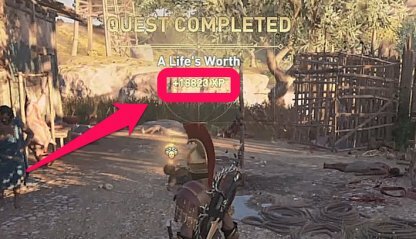 Side Quests give a hefty amount of XP with some even rewarding unique weapons and clues to cultists! 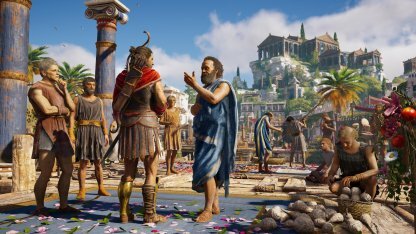 New Game + is not yet available for Assassin's Creed Odyssey but it has been announced to be available post-launch. Prepare for it by completing engravings, leveling up in end game. 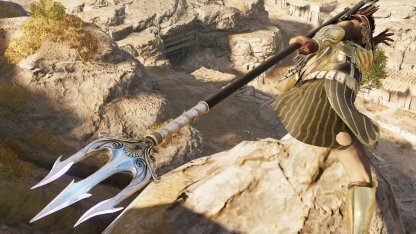 There are more than 50 engravings in Assassin's Creed Odyssey for you to learn. You can find them by exploring certain areas, doing side quests, and getting legendary items. Grind you way to Level 50 and have your character at their very best. Getting to Level 50 will also mean you have all the ability points you can use to create your own build! 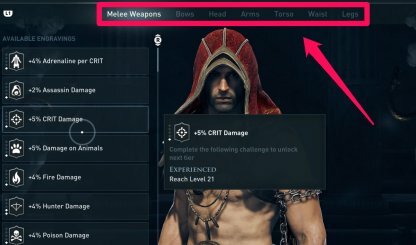 There are unique and powerful weapons hidden in the world of Assassin's Creed Odyssey. Find all of them in the world by doing side quests and simple exploring around. 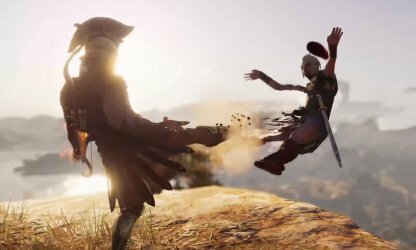 There's still a lot to achieve in Assassin's Creed Odyssey. From becoming the top mercenary to simple completing the challenges, there's still a lot to do. Climb up the top of the Mercenary List by defeating or recruiting the mercenaries in the game. With every mercenary you defeat, you will rank up! In-game challenges will give you access to new engravings if you complete them. Some of these are as simple as defeating certain enemies while some are a bit more challenging to complete. Don't leave no land or sea unexplored. Take the time to explore the beautiful Greek archipelago in the Adrestia. 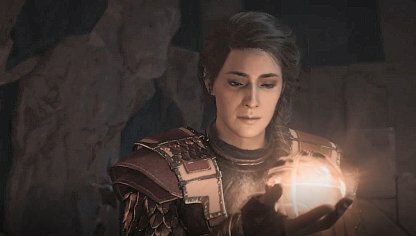 More content such as time-limited, in-game events will regularly be released for the game - giving more reasons for players to come back for more. If you like a challenge, pick up a naval battle quest or eliminate hardy mercenaries & receive coins to be exchanged for rewards at Oikos of the Olympians merchant. 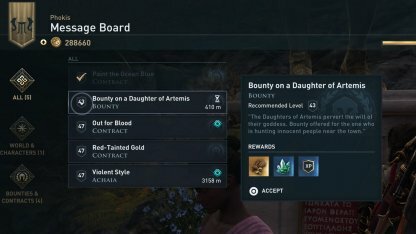 The bulletin board will play host to weekly & daily contracts you can accomplish for exclusive rewards - coins that you can use to purchase gear from Oikos of the Olympians merchant. 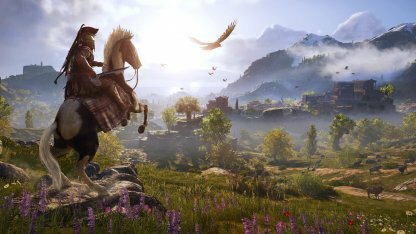 Two free DLCs have been planned out for the game. 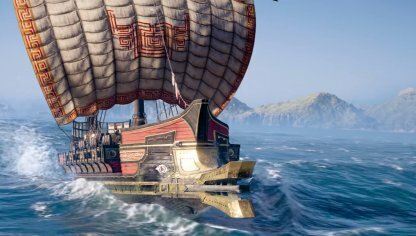 The Lost Tales of Greece are story-based quests, with new ones updated regularly that players can play through. 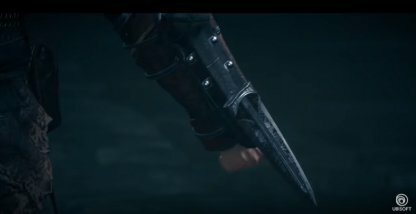 Meet the man who created the First Hidden Blade and paved the way to the creation of the Assassins a hundred years after Assassin's Creed Odyssey. 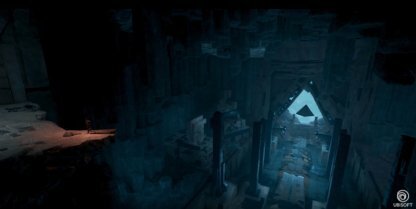 Find out what happened to the City of Atlantis and what part does the Misthios play in it in the Fate of Atlantis DLC.